Live a Long Life - Wouldn't You Rather Live to One Hundred? Live a Long Life - You Deserve It! You have the right to a long life but if you smoke your chances of having this are slim. On August 21st 2014 my Dad died from emphysema - he was 78 years old. Dad was diagnosed eight years ago and has struggled to breathe for most of those eight years. My Mum is now alone and has spent most of the last eight years taking care of Dad when instead, they should have been enjoying their retirement. As a nurse working in the aged care sector I have residents in my care who are celebrating their 90 - 100th birthdays. They are still having fun - their families take them out for picnics in the park with their great grand kids and apart from some aches and pains in the joints life is still good and it's a great long life!. But - guess what? - they didn't smoke. I have people in my care that did smoke and most of them are bed-ridden and on oxygen therapy 24 hours a day and they are a good 20 years younger. They are often battling more than one illness because some lung diseases can lead to problems such as pulmonary hypertension. The smokers are few though because most of them don't make it to a residential care facility because they died too young. I know that some of you are saying that you know some smokers that are still smoking and they are in their 90's. It is SO rare! Are you going to take the risk and bet everything on being one of the very very few that make it to 90 still smoking? Recently a friend's father died at the age of 80 and he was still smoking. 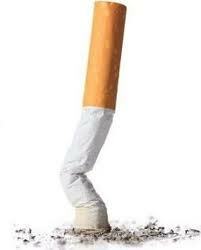 My friend bragged that his father had lived a great long life while still enjoying the thing he loved most - a cigarette. What the ..? One of my very dear friends is 100 years old and enjoying life to the full. She is a vibrant witty, funny lady and she has a few aches that can be taken care of with mild pain killers. She didn't smoke and when I told her about my friend's father dying at the age of 80 she was sad to think that he missed out on another 20 years of his life. He was also living with a constant cough, a wheeze, he couldn't walk very far and he didn't appear to be "enjoying" life very much at all! The choice you make now about smoking can potentially increase not only the length of your life but also the quality of the last years of your life. You don't know what the future holds for you but why would you choose a path of destruction? Why would you not want to give yourself the best chance of a happy, comfortable and long life? I get so angry when I hear smokers say things like "I'm here for a good time not a long time" or "You've got to die of something"
I will answer the first comment with "why not be here for a good time and a long time because it is possible to have a good time without puffing on a cigarette - millions of people around the world don't smoke." To the second comment I say "Why not die of old age if you've got to die of something?" Why not go for a Guinness Book of Records title and live the longest life possible? 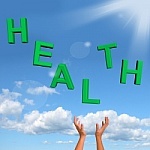 Gaining Weight when they quit smoking - help is here. Return from "Long Life" to "How to Quit Smoking"